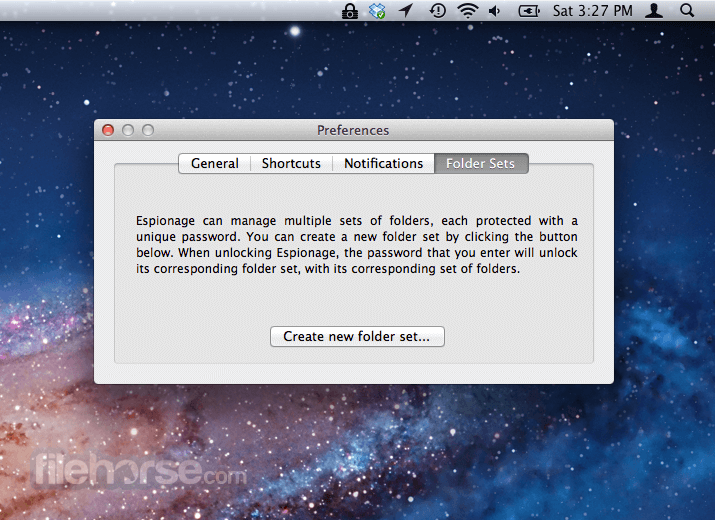 Espionage for Mac is a unique data security application. 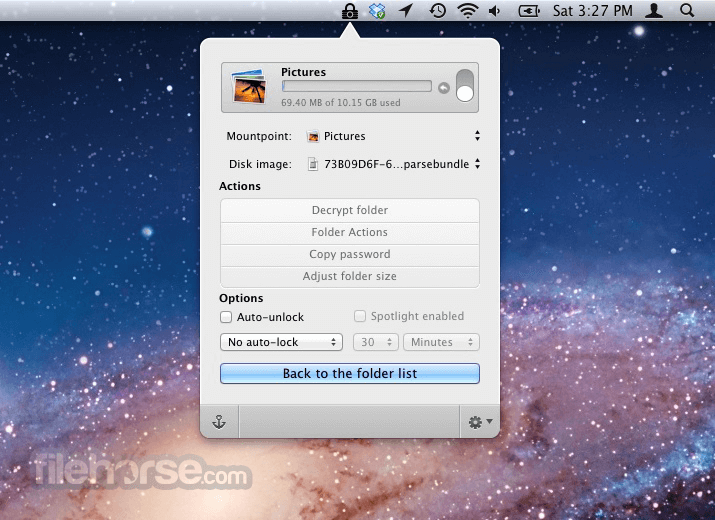 It lets you encrypt and password protect individual folders, and interact with them straight from the Finder. Espionage protects you even if you're forced to give up your password by giving you the ability to have multiple master passwords, each protecting a unique set of folders through a feature called Folder Sets. Sometimes, encrypting your data isn't enough to protect it. That's why Espionage goes beyond data encryption. You can create multiple master passwords, each protecting an isolated set of folders. Every protected folder can also advertise completely different data, depending on whether it's locked or unlocked. Espionage for Mac is also the most secure Espionage yet, featuring AES-256 encryption by default, and scrypt to protect your passwords from even the most powerful of adversaries. 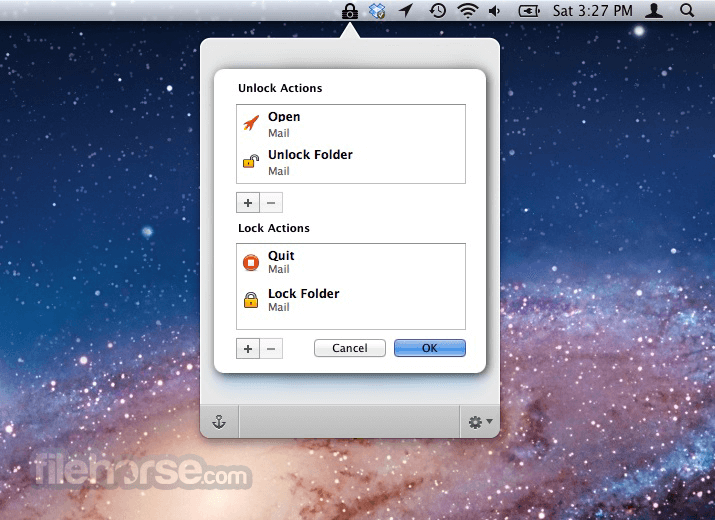 Folder Actions make it easy to encrypt your email.